The Guatemalan national soccer team defeated its Costa Rican counterparts 1-0 on Friday night in a friendly in the Guatemalan capital. The only goal was scored by defender Stefano Cincotta in the 31st minute, when he beat Keylor Navas, the Real Madrid goalkeeper, with a long-range shot. The game was played at the Doroteo Guamuch Flores Stadium in the Guatemalan capital, the most important sports venue in the Central American country. It marked the triumphant debut of interim coach Amarini Villatoro, who replaced the recently dismissed Walter Claverí, who had come off several consecutive defeats. Costa Rica, coached by the Uruguayan Gustavo Matosas, was unable to break the defense imposed by Villatoro, whose team was orderly and precise and left few options for the Central American giants. Villatoro, a 34-year-old coach and two-time champion with Guatemalan club Guastatoya, was hired to lead the game against Costa Rica and to change the faltering image of the Guatemalan team, which was thrashed 7-0 by Israel in November and 3-1 on March 6 by El Salvador. Guatemala started the game without consistent attacking options as Costa Rica dominated possession. 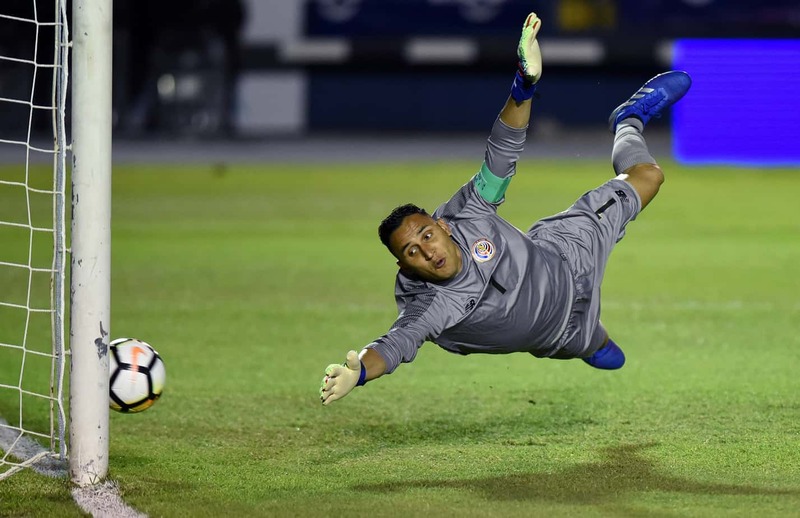 But the Ticos found a wall by the name of Nicolas Hagen, the 22-year-old Guatemalan goalkeeper, who with a spectacular bailing save diverted a Joel Campbell shot in the 17th minute. The goalkeeper was instrumental in three other occasions to maintain his side’s advantage and achieve the victory that filled with euphoria the 18,000 fans in attendance. The match was Hagen’s debut as a starter with the Guatemalan team. Costa Rica will play Tuesday against Jamaica at the National Stadium in La Sabana, San José.